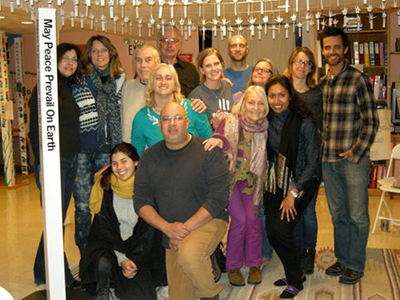 During Fall 2013 people from Northwest Connecticut, Southwest Massachusetts and adjoining New York State have attended three workshops in both physical and verbal nonviolence at The World Peace Sanctuary in Wassaic, NY. 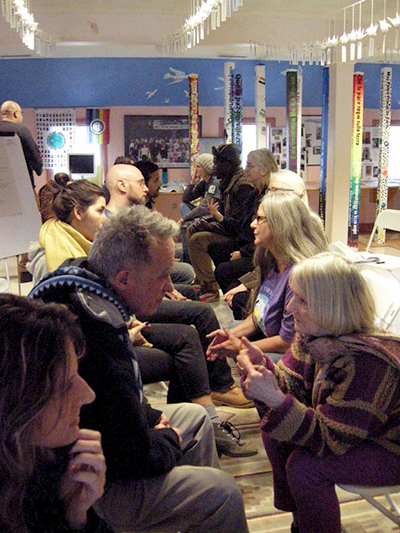 These workshops jointly were sponsored by Urban Visions (Ancramdale, NY) and the Watershed Center (Millerton, NY), for the Training of Facilitators of the Alternatives to Violence Project (“AVP”). Our Tri-corner area for the first time have a cadre of local Facilitators to provide AVP workshops in our communities. AVP has provided verbal nonviolence training world-wide since it began in Dutchess County, NY in 1975. Urban Visions’ physical nonviolence training, “I-Key Workshops,” emphasizes how to use the body to communicate well and resolve conflict. The workshops grew out of AVP and the nonviolent martial art, “Aikido,” in 1985, then became a basis for Peace Dojos which provide ongoing nonviolence training that combines word and movement.